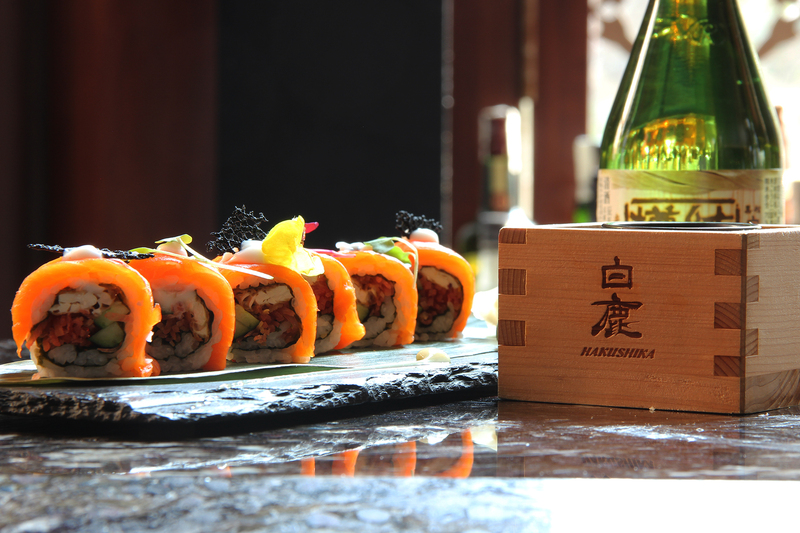 Experience authentic Japanese Sushi rolls and Sake at the Conrad Pune! Masu, the popular lounge at Conrad Pune is all set to treat your taste buds to authentic flavors of Japan in Pune. Starting 19 th February to 10th March 2018, Masu will be hosting the Sushi Rolls and Sake festival every evening offering Sushi rolls along with Japanese specialty rice wines- Sake. Elevate your dining experience as the plush ambience of the lounge along with private areas and the in-house DJ help you create an atmosphere of fun. While you relax with your friends and family, the team will help you with a choice of the freshest selection of Sushi rolls made using exotic ingredients sourced from their place of origin to make your experience authentic. Pair your favorite Sushi rolls along with a tokkuri of authentic Japanese Sake imported specially from Japan. Choose from a wide variety such as Hakusha Yamada Nishika Honjojo, Hakushika Honzojo Amayagi, Karakuchi Ki-Ippon, amongst others.